HOUSTON -- The Denver Nuggets players were warm and cozy in their homes Thursday, surely watching their Friday night opponents go play deep into the night. They saw a good game, but they probably saw the benefit of the Houston Rockets beating the Golden State Warriors 132-127 in double overtime. The game ended after midnight Colorado time, less than 21 hours before Friday's game at Pepsi Center is scheduled to tip off. The Nuggets have to feel fortunate. Stopping the Rockets is tough, but after 58 minutes of intense basketball their legs might be a little weary Friday night. Weary but happy after ending Golden State's 12-game winning streak. James Harden had another big game in the win, recording his fourth triple-double with 29 points, 15 rebounds and 13 assists, and now he'll have to turn around and do it again after a long night. "We're a resilient team," Harden said on the TNT broadcast after Thursday's win. "Big-time win on the road and we have another one tomorrow." The Rockets' early morning win might be the break Denver needs after it collapsed defensively in a 106-98 loss to Miami on Wednesday. Another poor defensive game Friday could doom them against the prolific Houston offense. The Rockets set the single-game NBA record for 3-point attempts with 50 against the Sacramento Kings last week, and they put up 44 against the Warriors. Houston (12-7) is averaging 14 made 3-pointers this season, which is ahead of the league record set by Golden State last year. It means the Nuggets (7-11) have to get out on the shooters, something they didn't do in the fourth quarter against the Heat. Miami shot 61.1 percent from the field and 66.7 percent from long range to rally for the win. "We didn't play that well," guard Emmanuel Mudiay said, "We'll just have to try to pick it up and have more energy. Contain (Houston's) guards in the next game from the 3-point line. They have a good 3-point shooting team." 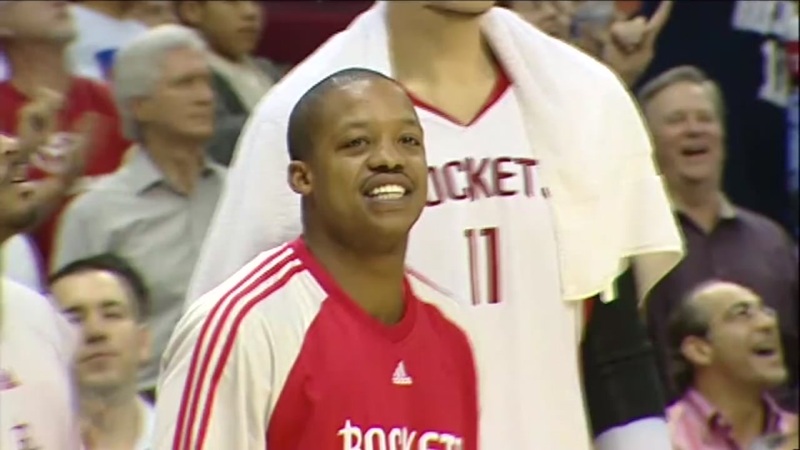 The victim of a burglary involving former Houston Rockets star Steve Francis talked exclusively to ABC13. It starts with Harden, who is fifth in the NBA in scoring at 28.7 points a game, but it doesn't end with him. Five Rockets players are averaging 12.2 points or more this season, and Houston's 110 points a game is fourth in the league. The Rockets got a boost a couple of weeks ago with the return of guard Patrick Beverley. Beverley has helped an already potent offense that has scored 100 or more points in all but three games this season. "Pat's a dog," Harden told Bleacher Report. "He brings a lot to our team, especially on the defensive end." His defense on the perimeter will be key on Mudiay and rookie Jamal Murray, who has come on strong after a slow start. Murray on Thursday was named the NBA Western Conference Rookie of the Month for November. Murray led all Western Conference rookies in scoring with 10.4 points a game to go with 2.8 rebounds and 2.1 assists. He scored at least 18 points in four of six games to close the month, including a 24-point, six-rebound effort on Nov. 22 in a 110-107 victory over the Chicago Bulls. Murray was a bright spot in the fourth quarter Wednesday when he hit two late 3-pointers to keep Denver in the game. "He's played at a high level," Nuggets coach Michael Malone told The Denver Post. "As the year goes on, even though it's going to be tough, I think his role is going to increase because he's that good of a player." The Nuggets will get guard Will Barton back. He has missed two straight games with a sore left ankle and another game for personal reasons. Barton played three games after missing nine after spraining the joint on Oct. 31 but said he's feeling better. Denver will need Barton to help slow down Houston's offense. The Nuggets hope a late game in Golden State will do that, too.